These terms and conditions are binding and enforceable against all persons that access this website, WWW.PACKRAT.CO.ZA, or any part thereof (in terms of section 11(2) of the Electronic Communications and Transactions (ECT) Act 25 of 2002. If for some reason you, the user of this website, do not agree to the terms and conditions you must leave this website now, as any further usage of this website will automatically bind you to these terms and conditions. 1.1 Copyright 2007,2008 PACKRAT. All rights not expressly granted are reserved. To obtain permission for the commercial use of any content on this site contact PACKRAT at 27 (0)11 462 0009. 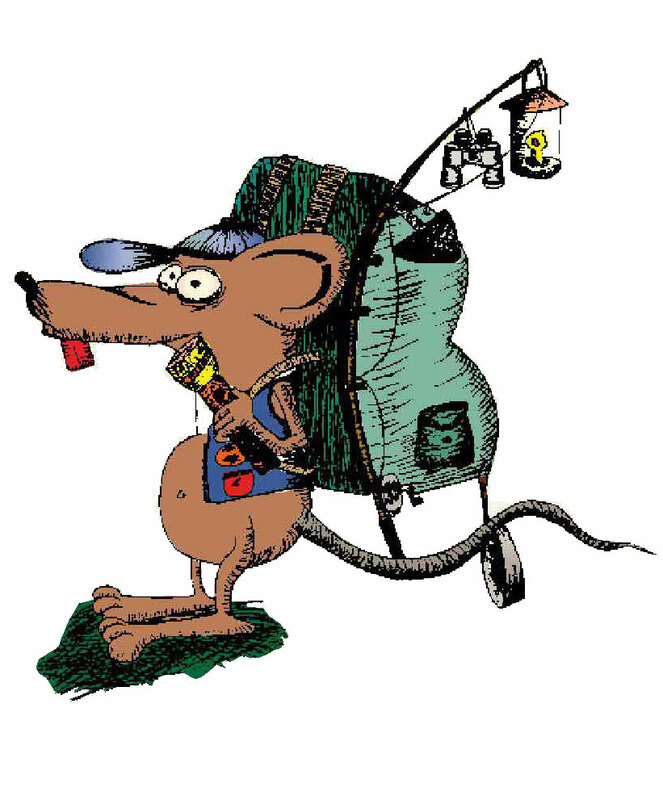 All intellectual property, including but not limited to content, domain names, text, software, photographs, graphics, databases, hyperlinks, designs, agreements and other material contained in the website are the property of Packrat CC and as such are protected from infringement by domestic and international legislation and treaties. When a user visits WWW.PACKRAT.CO.ZA or sends e-mails to PACKRAT, that user consents to receiving communications from PACKRAT electronically and agrees that all agreements, notices, disclosures and other communications sent by PACKRAT satisfies any legal requirements, including but not limited to the requirement that such communications should be "in writing". 4.1 No person, business or web site may link to any page on this site without the prior written permission of PACKRAT. Such permission could be obtained from the entity referred to in clause 1 hereof. 4.2 Hyperlinks provided on this site to other sites. These linked websites are not under the control of PACKRAT and PACKRAT therefore does not take any responsibility for the privacy practices or the content of those sites, or any liability arising from access to any website which is linked from this site, or any hyperlink contained in a linked website. Your action to link to any such website is entirely at your own risk. The price of products advertised exclude delivery charges which are additional unless stated otherwise. Delivery charges will be presented to you on your invoice. Deliveries to outlying areas, plots, hospitals, universities, shopping centres and other non residential or office blocks type properties may incur additional delivery charges. Delivery charges are therefore subject to change and we reserve the right to requote you on delivery. Should the delivery costs change, we will inform you and you will have the choice to either pay in the difference or cancel your order prior to your payment. Free shipping applies to South Africa only! No person, business or web site may frame this site or any of the pages on this site in any way whatsoever without prior permission. 8.1 Apart from the provisions of sections 43(5) and 43(6) of the Electronic Communications and Transactions Act, neither PACKRAT nor any of its agents or representatives shall be liable for any damage, loss or liability of whatsoever nature arising from the use or inability to use this web site or the services or content provided from and through this web site. Furthermore, PACKRAT makes no representations or warranties, implied or otherwise, that, amongst others, the content and technology available from this web site are free from errors or omissions or that the service will be 100% uninterrupted and error free. Users are encouraged to report any possible malfunctions and errors to the person referred to in clause 1. 8.2 This web site is supplied on an "as is" basis and has not been compiled or supplied to meet the user's individual requirements. It is the sole responsibility of the user to satisfy itself prior to entering into this agreement with PACKRAT that the service available from and through this web site will meet the user's individual requirements and be compatible with the user's hardware and/or software. 8.3 Information, ideas and opinions expressed on this site should not be regarded as professional advice or the official opinion of PACKRAT and users are encouraged to consult us personally before taking any course of action related to information, ideas or opinions expressed on this site. 10.2 None of the information collected or received via the online forms is and will be used for marketing purposes, except if the sender requests more information concerning the subject matter. 10.3 We will not disclose personal information to third party without the users permission unless: we are compelled to do so by law or in terms of a court order; it is in the public interest to do so; it is necessary to protect our rights. 11.1 Any person that delivers or attempts to deliver any damaging code to this web site or attempts to gain unauthorised access to any page on this web site shall be prosecuted and civil damages shall be claimed in the event that PACKRAT suffers any damage or loss. 11.2 The user allows PACKRAT to take all reasonable steps to ensure the integrity and security of the PACKRAT site and back-office applications. PACKRAT may, in its sole discretion, change this agreement or any part thereof at any time without notice. Users are encouraged to report untrue, inaccurate, defamatory, illegal, infringing and/or harmful content available from this website to PACKRAT. PACKRAT undertakes to correct and/or remove such content or any part thereof if the person reporting such content provides reasonable grounds to prove the alleged nature of the content. PACKRAT chooses as its domicilium citandi et executandi for all purposes under this agreement, whether in respect of court process, notice, or other documents or communication of whatsoever nature, 8 Galeniet Street, Jukskei Park, Randburg. This agreement shall commence when the user registers on the PACKRAT site and continues indefinitely until terminated by PACKRAT in terms of clause 21 hereto or for any other reason. So, if you are wanting to do your outdoor shopping from the comfort of your armchair and without going into the shopping centres, and you can wait a few days - then you are definitely at the right place.